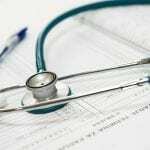 Are you planning or expecting a baby and wondering if you can afford it or how much it will actually cost? There are plenty of articles and research out there about what the cost of having a baby is, and the cost of raising a child. The problem is they mostly seem to agree that it’s expensive! But as a mum of 3, in a family of 5 living on one income – I really don’t think you need to have mega money to afford to have children. The Money Advice Service suggest the cost of a baby to be from £1600 to £7200 in their first year alone. Research reported in both the Telegraph and the Guardian indicates the cost of raising a child to be almost £230.000! I don’t know about you, but if I didn’t already have children I would find these figures terrifying! Luckily, there are plenty of things you can do to make sure that the cost of having a baby doesn’t bankrupt you. Probably the first and best way of trying to reduce the cost of having a baby is to try and buy second-hand or borrow where possible. There are things that you probably do need to buy for a baby; something to sleep in, clothes, car seat, pushchair or carrier, nappies etc. 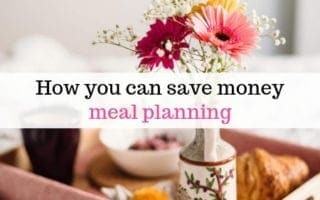 This initial outlay could end up being pretty expensive, so being able to save money from the offset can really help your baby budget. A great thing about baby equipment is that because babies grow so quickly, you can often find baby things that are still in great condition for a fraction of the price you’d pay in a shop. Aside from car seats and mattresses which are recommended to be bought new, there are plenty of things you can get second-hand for your baby. For our first baby we borrowed a Moses basket from my sister-in-law, the second time I paid £10 for a basket with a rocking stand on a Facebook selling group. Facebook selling groups are great for finding cheap or even free baby things! For example, I found a lady giving away a baby bouncer for free, so that saved money and I was able to pass it on again after we’d finished with it. I also managed to buy one of these Bright Starts swinging chairs for just £5! We would never have bought one new as it isn’t a baby necessity, but for £5, you really can’t go wrong, and having the automatic swing was fab for calming my daughter. It’s worth searching for, and joining your local buy and sell groups. Clothes are also great to get second hand, we spent £50 on eBay and got practically everything we needed for our daughter up to age 18 months. Most of them were from Next as well, so it was good quality clothing and we got so many bits for the price, even shoes and boots etc! We actually managed to borrow an infant car seat for our 3rd child as well – because it was from a friend we knew it hadn’t been in any accidents (which is the reason you’re encouraged to buy new). You honestly don’t have to go out and buy everything new, if you’re on a budget, you can find pre-loved items that are just as good. 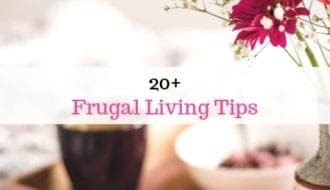 Plus, if money is really tight, there are plenty of baby things you can do without entirely – have a look at my list of 10 baby things you can save money on by simply not buying. Another tip if you think you’ll have more children is to buy gender neutral vests and sleep suits, then you can reuse them. We did this and just so happened to have 3 girls, so it wouldn’t have made a difference, but either way the clothes still got used by all of them and could have done if they’d been boys too. If you are buying anything new, make sure you to use cashback sites such as Quidco and Topcashback, so that if you’re shopping online, you get some money back in cashback. You can find out more about cashback sites and how they work in this post. Infant formula milk is quite expensive, around £9 a tub, plus you need bottles and sterilising equipment too. If you can, breastfeeding is a great money saver because you can essentially feed you baby for free, at least for the first 6 months or so. 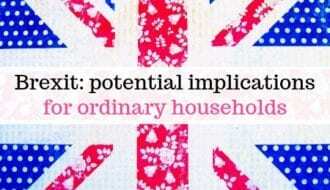 Obviously, it might not always be possible. With my third baby, I had problems feeding (you probably don’t need the gory details!) and needed to switch to bottle feeding after a few months. But, if it all goes well, breastfeeding is easy and free, so definitely a good option for having a baby on a budget. We tried out a LOT of different bottles to find one our daughter would take to and by far our best buy was these self sterlilising bottles from MAM. You can just add water and pop them in the microwave to sterilise, so we don’t need a steriliser and they save a lot of faffing around. I love them. 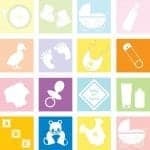 Save Money On Baby Stuff By Signing Up To Baby Clubs For Freebies And Discounts. If you sign up to baby clubs you can get discounts and vouchers for a lot of baby items, and waiting for a sale means you can often save more. These can definitely help you lower the cost of having a baby. For example, with the boots parenting club I was sent a voucher for £35 off prams and pushchairs, which I was then able to use in conjunction with a 10% off baby event sale. Looking for the right pram in itself can be a bit overwhelming, there are some prams that honestly cost more (a lot more even) than my first car! For us personally, spending so much money on a pram just seemed both excessive and unrealistic. We opted for something that was easy to push and steer, had a reasonably big basket, and didn’t cost the earth. Just in case you’re curious, we went for a baby jogger citi mini,(although I think we paid about half of what they seem to cost now!) and we’re still using it now with our third child. Always look out for deals and bargains, and don’t assume that more expensive means better quality. A good example of a baby item that varies hugely in price is a highchair. When I had my first baby, my cousin lent me her expensive fancy Chicco high chair a bit like this one. Whilst it looked good, was made well, good quality and did the job, I found it bulky, difficult to clean and I had no need for the reclining option. Soon after, we stitched to using the Ikea antilop high chair, and it’s been brilliant. Not too bulky, sturdy, really easy to wipe clean, and the straps go around the waist which I find much easier than shoulder straps. Plus it’s much cheaper. This is probably one of my favourite things we have, and it’s lasted through 3 children. This one is possibly not for everyone, but if especially if you’re planning on having more than one child, reusable nappies can save you hundreds. The average child is estimated to go through 4000 nappies with an average cost of £800! Modern day cloth nappies have come such a long way from the boil in a bucket terry squares your parents or grandparents might have used, and they are actually really cute. They come shaped the same way as disposables, with either Velcro or popper fastenings, and you can wash them in the washing machine. A full cloth nappy kit could cost you anything from £75 up to about £250. Even when you factor in the cost of washing at about £1 a week, it’s still a significant saving. Reusing your cloth nappies for subsequent children multiplies the savings even more! If cloth nappies aren’t for you, it’s worth trying out supermarket brand nappies, these are much cheaper than top brands like Pampers, and can be just as good. You might have to shop around to find what works for you. We found that Asda little angels were fab for daughter number 1, with our second we found we had leaks and Tesco nappies were a better fit, but we used Pampers at night once she slept through. To give you a bit of an idea of costings, let’s assume your child will potty train aged 2 and a half, and wear an average of 7 nappies a day (more for newborn, less for toddler). If you use top brand nappies such as Pampers, the total cost will be around £1146. Whereas if you use the less expensive supermarket brands which cost on average 7p per nappy, the total cost would be about £445. So it does make a massive difference! Don’t forget that all families can claim Child Benefit, regardless of income. For your first child this is £20.70 per week, additional children get £13.70. You can put your claim in from as soon as your baby is born, but it is only backdated 3 months, so don’t leave it too long to make sure you get the full benefit. Although this doesn’t actually take money off the actual cost of having a baby, it is money saving. If you’re pregnant or your baby is under one, you can make use of the free prescriptions and dental care you get whilst pregnant and for the following year after birth. You can get a MatB1 from your midwife or GP which you to fill in and send off. You’ll then receive your Exemption certificate card in the post. Make the most of this by getting those nagging tooth problems sorted while it’s free. If you’re pregnant or have children under 4 and are on benefits you may qualify for healthy start vouchers. This will give you vouchers for milk, fresh fruit and vegetables, vitamins and baby formula milk. Find out more about Healthy Start vouchers here. If you’re having your first child or are having a multiple birth after previous children, and you/your partner are on benefits, you may qualify for Sure Start maternity grant on £500. You can find out if you’re eligible for the Sure Start grant here. If you need childcare for you baby, this is where it can get quite costly. Here in the UK, a mother is entitled to 9 months statutory maternity pay or maternity allowance if you’re self-employed or not in regular employment. Some companies offer a good maternity pay package, and some don’t, but if not the statutory or maternity allowance is paid, providing the mother worked 26 days of the previous 66 weeks. After maternity leave has ended, if you need to go back to work, then finding affordable childcare can be tricky. 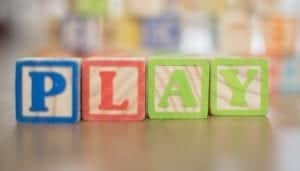 It’s worth checking if your or your partner’s workplace offer Childcare vouchers. Each parent can pay into the scheme though their wages; this money is then not subject to National Insurance or tax payments, so you save money that way. Using this kind of salary sacrifice scheme can save you hundreds of pounds on childcare costs per year. My husband’s work allow him to pay into the Apple Childcare voucher scheme, which has meant we have been able to give my eldest an extra day in pre-school, and pay a childminder for one day for my toddler. Without the vouchers, we wouldn’t have been able to do this, so they do really help. 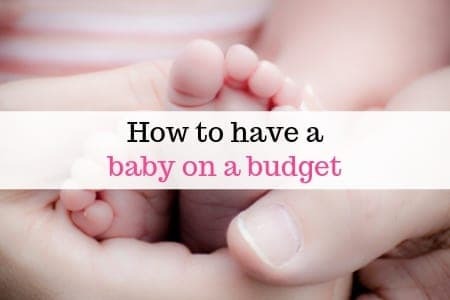 Hopefully, if you’ve made it this far you can see that although there is a cost to having a baby, it doesn’t have to be overwhelming or unaffordable, and with a little bit of thriftiness it’s perfectly possible to have a baby on a budget.